Taken on Jul. 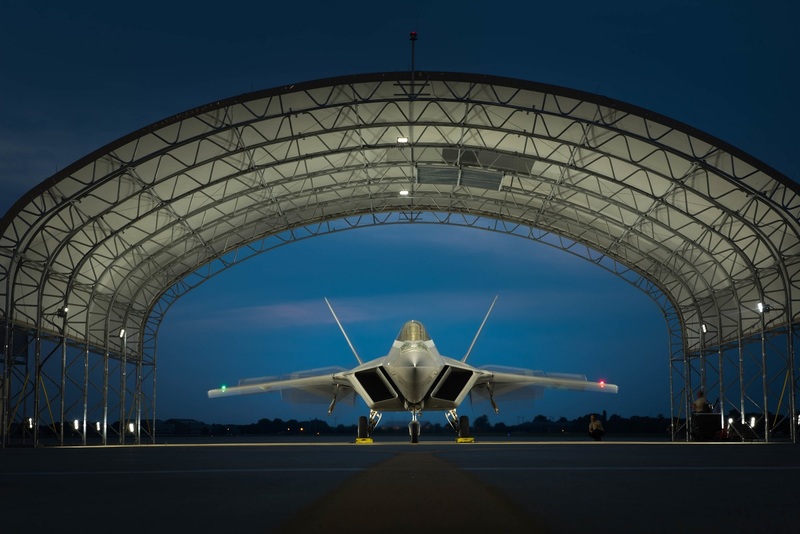 11, 2017 during night operations at Joint Base Langley-Eustis (JBLE), Va., the cool photos in this post show 1st Fighter Wing (FW) F-22 Raptor stealth fighters preparing to conduct night flying training missions in order to keep pilots current on skills needed to operate in the dark. As told by Staff Sgt. Carlin Leslie, 633rd Air Base Wing/Public Affairs, in the article Sound of freedom: 1st Fighter Wing takes training into darkness, for the 1st FW, this kind of training confirms its ability to maximize combat readiness and prepare for warfighting anytime, anywhere including in the veil of the night sky. 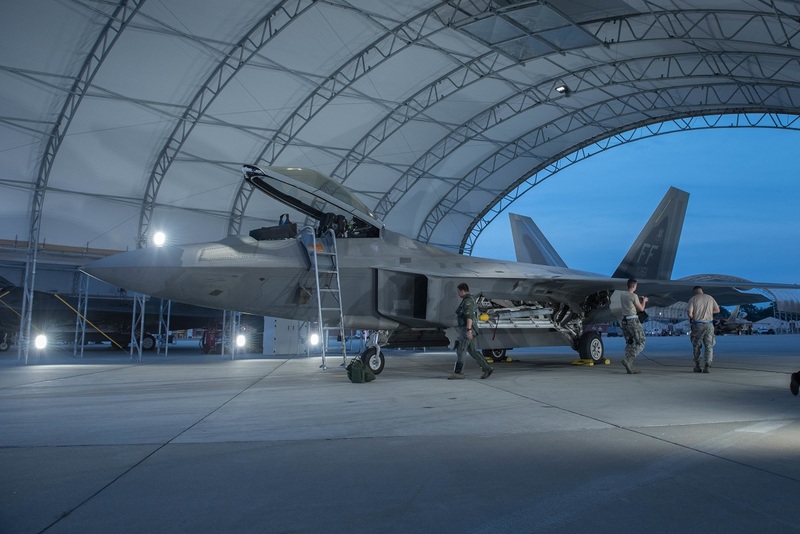 The 1st FW has been conducting night operations at JBLE since July 10, 2017, to help its Airmen perfect night flying operations in a controlled environment. 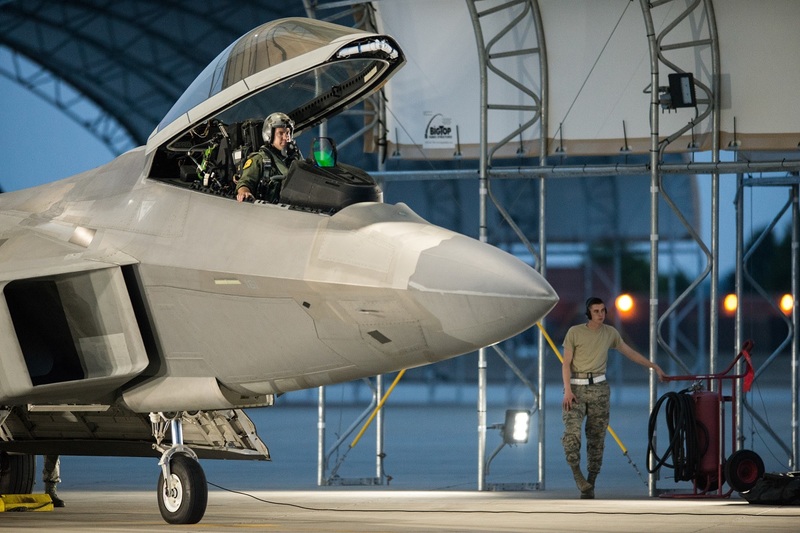 According to Ocho, flying night operations allows pilots to stay proficient and reduces the number of sorties they have to fly to get re-certified, allowing the squadron to focus more on tactics while getting acquainted with the dark. Noteworthy night operations can be much more dangerous, especially when flying over the ocean. During the day in fact, there is a clear horizon line, but at night, the stars reflect off of the ocean, creating the illusion of two sets of horizons. Being able to focus in the air and trusting in the aircraft, relies heavily on the Airmen on the ground. While 1st FW pilots take to the air, a team of Airmen on the ground prepare the life support gear, weapons and jets. To provide optimal support to the night missions, these Airmen altered their normal operations schedule. 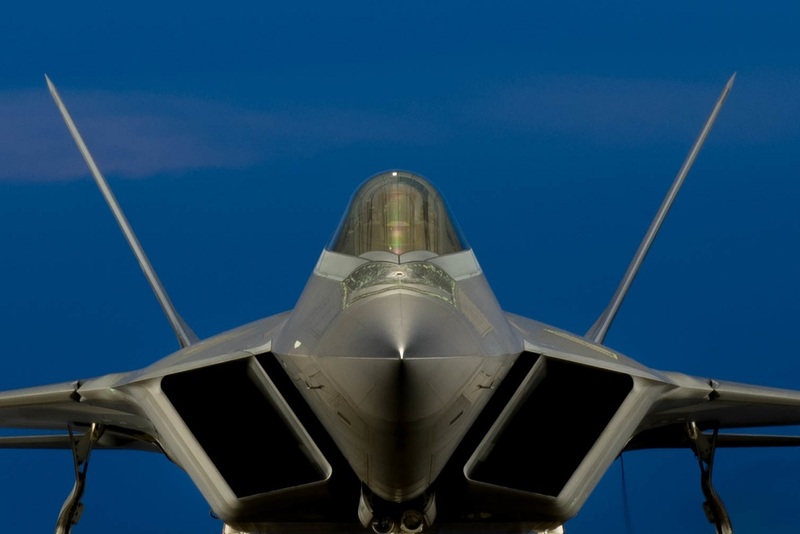 Usually during day operations, they launch the F-22s and complete maintenance in the evenings. 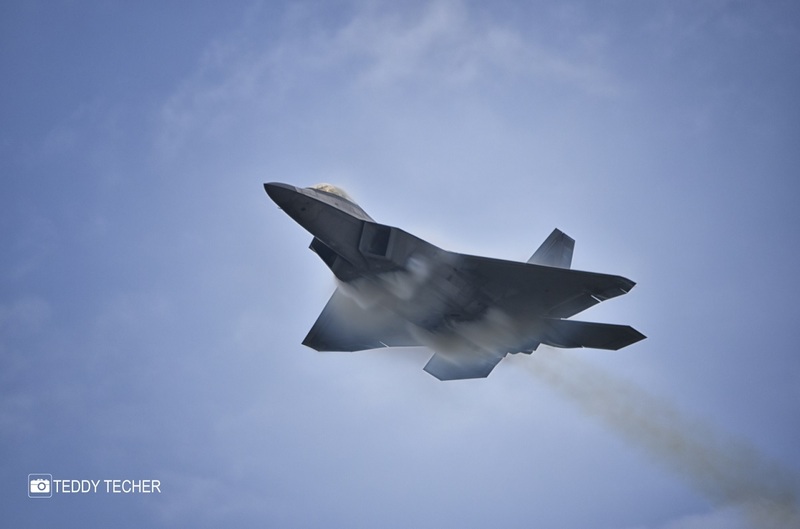 Their schedules have taken a 180-degree-turn as they now complete maintenance in the daytime and launch F-22s at night.